Madonna dropped a bomb today, opening this way her new upcoming era. All signs points to a new collaboration with photographer Steven Klein. Which is a great news! Some (less evident) clues also suggest that gourgeous stylist Gareth Pugh is involved. And we really hope so. Fingers crossed! 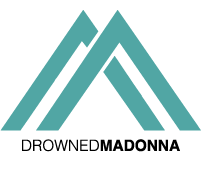 Madonna to perform at the 2019 Eurovision Song Contest?